A-HOTEL.com - Luxury and cheap accommodation in Malaya Krivoshchëkova, Russia. Prices and hotel, apartment booking in Malaya Krivoshchëkova and surrounding. This indicative offer was derived from the most recently booked accommodation in Malaya Krivoshchëkova and sort by the price, from cheapest Malaya Krivoshchëkova accommodation to the most expensive hotels. To select accommodation by your preferences we recommend to choose from 2 accommodation offers in Malaya Krivoshchëkova in total. By entering the dates of your overnight stay in Malaya Krivoshchëkova and using the filter tools you can sort the best possible accommodation for you. The entered dates of your stay are crucial for the most accurate offer as it derives all the online information on pricing and availability of Malaya Krivoshchëkova accommodation. Then you can book the selected Malaya Krivoshchëkova lodging (hotels, apartments etc.) immediately. Offering free WiFi and lake views, Квартира на Воскресной is an accommodation set in Malaya Krivoshchëkova. The accommodation is 17 km from Novosibirsk. Offering free WiFi and lake views, Studiia is an accommodation set in Malaya Krivoshchëkova. Guests staying at this apartment have access to a balcony. Situated in Novosibirsk, just 7 km from Glory Monument, DomSna2 features accommodation with a spa and wellness centre, a shared lounge and free WiFi. The property has river views and is 10 km from Russian National Public Library for Science and Technology and 12 km from Novosibirsk Opera and Ballet Theatre. Apartment DomSna offers accommodation in Novosibirsk, 7 km from Glory Monument and 10 km from Russian National Public Library for Science and Technology. Guests staying at this apartment have access to a fully equipped kitchen and a balcony. Featuring free Wi-Fi and free private parking, Hunter’s Hut Hotel is located in Novosibirsk city. Guests are offered a sauna and rooms with a TV. Situated within 7 km of Glory Monument and 11 km of Russian National Public Library for Science and Technology in Novosibirsk, Siberia Apartments offers accommodation with free WiFi. All units come with a dishwasher, microwave, a coffee machine, a stovetop and kettle. An indoor pool, a gym and a fitness centre are offered at this Novosibirsk hotel. Free Wi-Fi, billiards and a 24-hour reception are featured at Abnicum Hotel. Петухова 14/5 is set in Bol'shaya Krivoshchëkova. Guests are welcome to enjoy the free WiFi. Located 8 km from Glory Monument in Novosibirsk, Apartment on Viktora Usa 2 offers accommodation with a kitchen. Guests may enjoy free WiFi. Situated in Novosibirsk, 8 km from Glory Monument and 11 km from Russian National Public Library for Science and Technology, Studio on Viktora Usa 4 offers free WiFi. 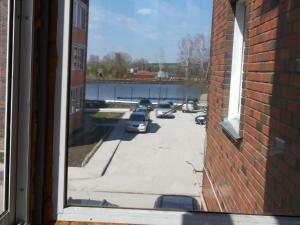 The property is 13 km from Novosibirsk Opera and Ballet Theatre and 14 km from Novosibirsk State Circus. Apartment near IKEA enjoys a location in Novosibirsk, just 6 km from Glory Monument and 9 km from Russian National Public Library for Science and Technology. Free WiFi is provided. Apartment on Belovezhskaya 4/1 is situated in Novosibirsk, 6 km from Glory Monument, 9 km from Russian National Public Library for Science and Technology, and 11 km from Novosibirsk Opera and Ballet Theatre. The accommodation is 12 km from the Novosibirsk State Circus and has free WiFi. Apartment on Nemirovicha-Danchenko 120 is an accommodation situated in Novosibirsk, 3.1 km from Glory Monument and 5 km from Russian National Public Library for Science and Technology. B2BAPARTMENTS - Apartments "Soft Loft" on Vatutina offers accommodation in Novosibirsk, 3.4 km from Glory Monument. Apartment on 2-Ya Obskaya 154 is situated in Novosibirsk, 4.3 km from Russian National Public Library for Science and Technology, 6 km from Novosibirsk Opera and Ballet Theatre, as well as 8 km from Novosibirsk State Circus. Located within 2.6 km of Glory Monument and 6 km of Russian National Public Library for Science and Technology, Общежитие "Академия" provides rooms in Novosibirsk. Boasting accommodation with a balcony, Shikarnyie apartamienty na 15 etazhie s vidom na rieku is set in Novosibirsk. The apartment is 4 km from Russian National Public Library for Science and Technology.